The overall timing of a piece doesn’t directly tell anything about the actual tempo (or tempi) in a piece. There are many other factors in play, just listen to the very big pauses Messiaen has between some of the sections, but the overall timing can tell us a little of the performers overall grasp of the whole piece. The Corps Glorieux are done with a strong personality and commanding interpretation, but still very spontaneous and with great elegance and plasticity. Especially I can recommend the “Les Eaux”, in which he almost make the organ dance in the middle section, and the fiendishly difficult last part is done in a very virtuoso style. Thanks again to Anders Riber for providing the transfers of these important documents. No digital noise reduction has been applied, so there is a little background hiss and click here and there. 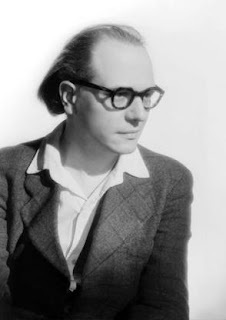 Thanks for both posts with Messiaen! Frankly, I love the recording as it is, hiss and all, organ slightly out of tune and all. I think Messiaen knew what he wanted and the result is grand and unique. Musical and alive and not clinical and sterile. Buenisimo thanks for posting man! !